Why Get Locked in to One ADS-B Unit? iPad FltPlan Go works with a variety of ADS-B Receivers. FltPlan Go for iPad supports ADS-B, and we give you the freedom to choose which receiver you’ll use. Our iPad FltPlan Go app currently works with four different ADS-B units: Sagetech Clarity, Dual XGPS170, Flight Data System's Pathfinder, and the SkyRadar DX. We will be adding more receivers to the list in the future. Where some apps may lock you into using one brand of ADS-B receiver, FltPlan allows you to select your own, based on your needs and your price range. Conversely, if you decide to use an app other than FltPlan Go (we can’t imagine why you would), you’re not stuck with an unusable receiver that you paid hundreds of dollars for. When you use ADS-B in conjunction with FltPlan Go, you get access to NEXRAD, METARSs, TAFs, NOTAMS, and PIREPs. As always, FltPlan Go is free. After all, you’re not getting free weather if you’re paying for a subscription to your app. 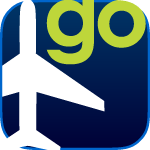 To download the free FltPlan Go app, visit the iTunes App Store and search for FltPlan. and TAFs on FltPlan Go iPad. In August we announced the release of our new FltPlan Go User's Manual. Now we have links to it for easy access. When you use these links for the most recent version of the manual, the front page will show you all of the items that have changed in this update. You can find the iPad Manual links on the Main Menu page by clicking on either Pilot Resources or Help. Did you know you have the option to select up to five different sections of FltPlan and have the links listed under Favorites? You can choose the pages you use most frequently and list them at the top left side of the Main Menu page for quick and easy access. Set your Favorites by clicking on the Settings button on the left side of the Main Menu and then the Default User Settings link. Find the Select Favorites link at the bottom of the page (see image below), and then choose your favorites from the drop-down menu. Click on Save Favorites when you're done. While you’re on the Default User Settings page, check out all the other settings that can simplify your flight planning. You can set defaults for everything from VFR flight planning to Weather to ICAO Item 18 STS/Special Handling. FltPlan’s Multi-Leg Pax Briefing now includes FBO addresses and phone numbers. This information has already been displayed on the Single-Leg Pax Briefing for some time. This can be a great help in locating some of those hard to find locations at the airport. It’s as simple as selecting your departure and arrival FBO. To use the PAX Briefing go to Main Menu > Flight Planning > PAX Briefing. From there you can select Single or Multi-Leg.